​Mitchell's Hope was started by his mother Michele from some generous donations and her tax returns. 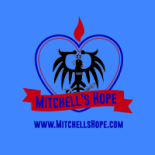 Mitchell's Hope is dedicated to promoting awareness, ending stigma, educating the general public, rallying for change and supporting people struggling with addiction and the people that love them. I NEVER WANT YOU TO BE ME. PEOPLE THAT STRUGGLE WITH ADDICTION NEED TO FEEL LOVED AND WELCOMED INTO OUR COMMUNITIES, ESPECIALLY IF THEY ARE TRYING TO GET WELL AND RECOVER FROM THE DISEASE THAT IS MAKING THEIRS AND OUR LIVES UNMANAGEABLE. Donations can be made to Mitchell's Hope at any First Merit Bank- in the name of Mitchell's Hope. YOU CAN ALSO SEND A CHECK OR MONEY ORDER TO MITCHELL'S HOPE, JUST CONTACT US FOR MAILING ADDRESS.